Memory has been on my mind. As I’ve mentioned in this blog, The Saltwater Twin contains some elements of memoir. Working on this book has meant hours spent in my brain’s attic, rummaging through memories, emerging powdery and hoarse with dust. Actually, that’s not the way memory works. Turns out, it’s not even a good metaphor for how it works. A memory isn’t like a letter or a photograph. It doesn’t live in one place in our brain. A memory is a pathway, it links sensory and emotional data stored in different parts of our cerebral cortex and limbic system. This is my understanding, anyway, after the twelve or so articles and one podcast I recently turned to in an attempt to get acquainted with memory. Neuroscience is like space. It’s fascinating, hard to wrap my head around and more than a little disconcerting. 1. How you remember things with your body even when they defy being put into words. Like when you go to a place you haven’t been in years, how you can feel it rearrange you somehow. Limbs remember, heart, skin and muscle remember. It’s memory not as narrative but as a story of the senses. 2. How potent songs are when it comes to memory. And smells. I know if I got a hold of the kind of fruit flavored Trident that came in an orange packet that they don’t make any more I would have an out-of-body experience. Especially if there were a stand of pines nearby or the ocean or a station wagon. 3. How memories from real life coexist with recollections from stories we read or watch or hear. I have a memory from The Lion, the Witch and the Wardrobe of the slaughter of Aslan on the stone table. For some reason the Beatles song “Norwegian Wood” reminds me of that scene, so if I hear “Norwegian Wood” I think about Aslan. I see a landscape that only exists in my mind. But I see it fully; it’s not qualitatively different from a real life memory. 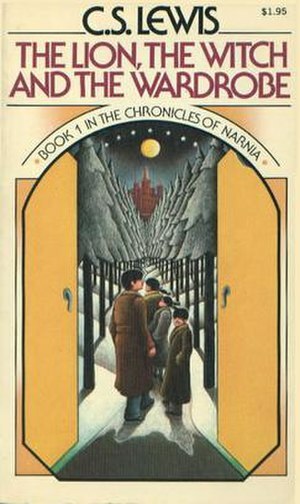 I don’t remember where I was the first time I read The Lion the Witch and the Wardrobe or if “Norwegian Wood” was playing. I remember it was a paperback. I don’t remember if I cried, but I know I felt like crying. 4. Aslan and “Norwegian Wood” were hidden somewhere in my brain until, as I was writing this post about memory, they suddenly appeared in my consciousness. Startling and familiar. 5. The instant of remembering feels like water being shaken from an ear. 6. Sometimes memory feels less attic than forest. Full of dead things and living things and tangled undergrowth where hidden things decay. 7. The feeling of a memory just out of reach. You know it’s there, but you can’t find it. That feeling of searching. Actually, it feels like summoning. You’re spell seeking, you’re summoning something that’s disobeying you by staying hidden. 8. The way you can feel wistful for blank spots, for things you don’t remember. The way memory is an effort to hold on to things that explain how you got here. The way things we don’t remember don’t exist. 9. I think I can almost remember inhabiting a smaller body – the feeling of being lifted as a child. My uncle used to tip my sister and me upside down and let us walk on the ceiling. It’s one of those I have to close my eyes and summon. 10. Most of our conversations, our moments, the day-to-day of our lives will get lost in the woods. Will disappear. Ordinary things. Things that don’t jibe with our image of ourselves. It feels strange to think about how much slips away. This was in the back of my mind when I went for a walk with a friend on Sunday morning. The corner bar on the way to the park, that in mild weather always had the door open and the TV on, had been torn down since the last time I took that street. Our dogs trotted and sniffed on the ends of their leashes. It was warm in the sunlight and cold in the shadow. These things passed before me. I saw and smelled and heard and felt them. I remember them now. I remember them. For now. P.S. What are your thoughts about memory? Yes – especially love the water being shaken from the ear image/feeling! It’s so sudden and intense sometimes and such an AH! moment. This makes me think of the willfulness (or lack thereof) of memory. I feel that I’ve lived moments that I’ve hoped would get lost in the underbrush of the forest, only to have them firmly cemented by some oft-used neural passageway. When other moments, which I purposefully widen my eyes and command my memory to sustain, so easily fade from view. I just logged in via Facebook to post here. I hope this doesn’t mean this post will show up on everyone’s feed. Maybe I’ve told you this before. Sometimes, when I’m just about to fall asleep, when my body and mind are relaxed and starting to drift, I can remember things I couldn’t in waking life. Usually, I remember spaces. For example, recently I conjured up the building where I did my first musical in 3rd grade. I’d long forgotten the details of this building, but I was able to walk into back hallways that led to the bathroom, see details like the choir risers set up against the wall, the colored squares on the floor, the way that hallway also had a door at the end that opened up into a courtyard. I could hear the kind of echo of voices specific to that space – all my senses open up. It makes me think about how our waking minds clamp out memories and details like this in order to free up processing for the task at hand. Yes, I like that mental wandering into forgotten spaces. It’s been interesting working on the chapters of this book, how one memory leads to another like a trail of breadcrumbs.